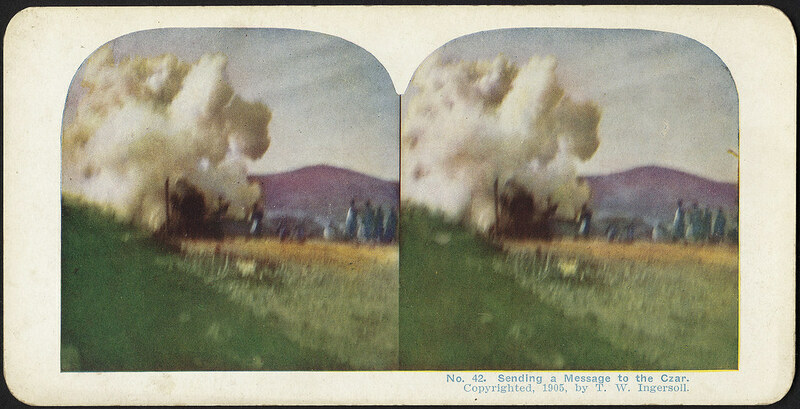 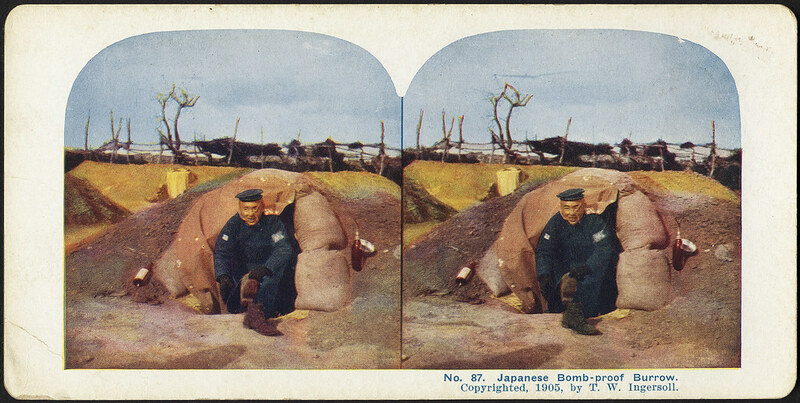 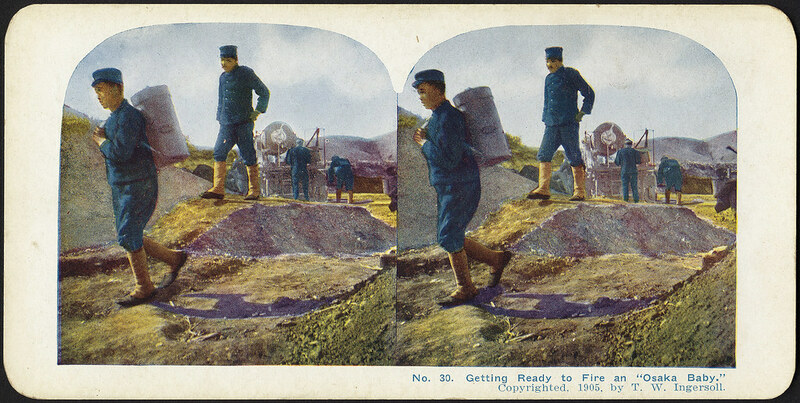 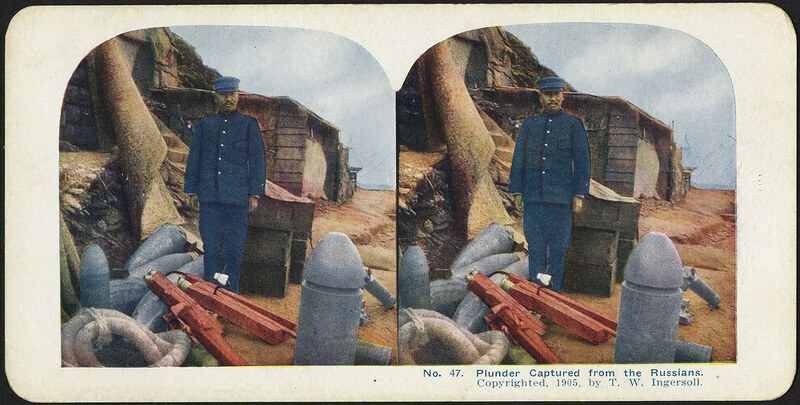 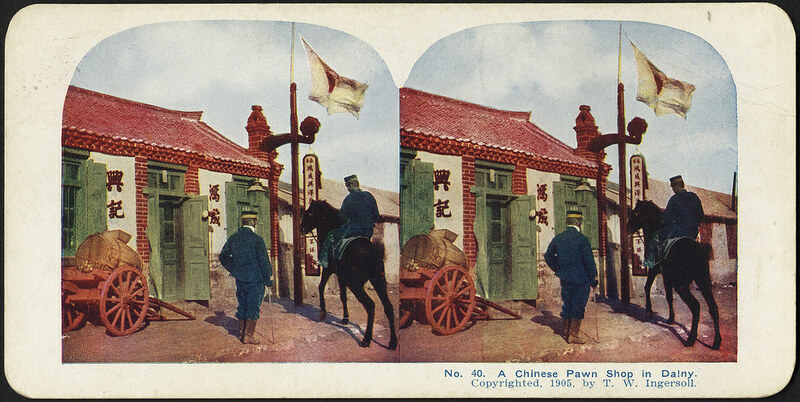 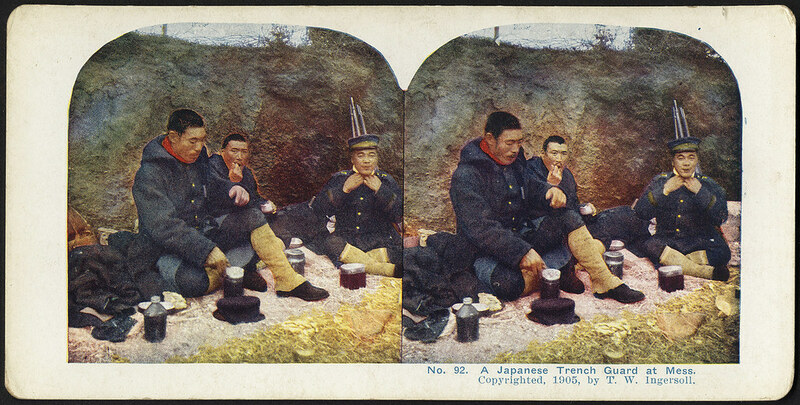 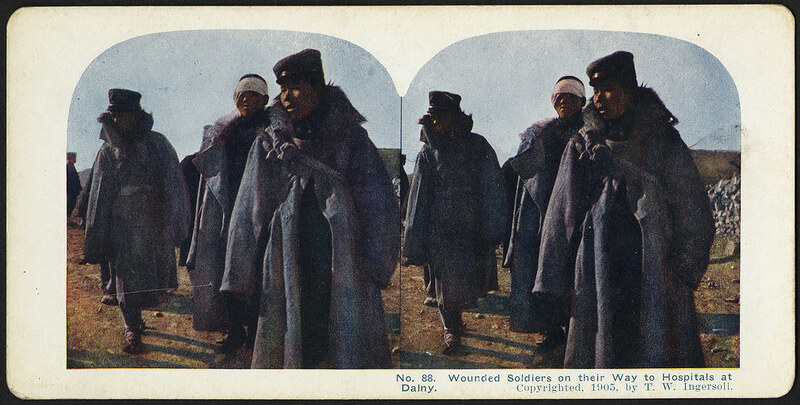 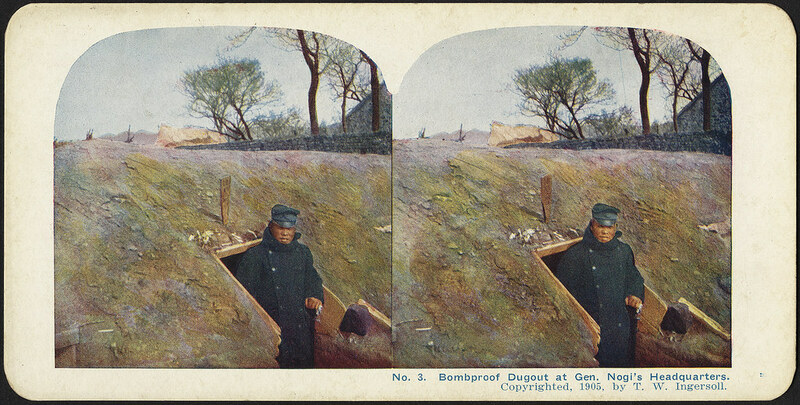 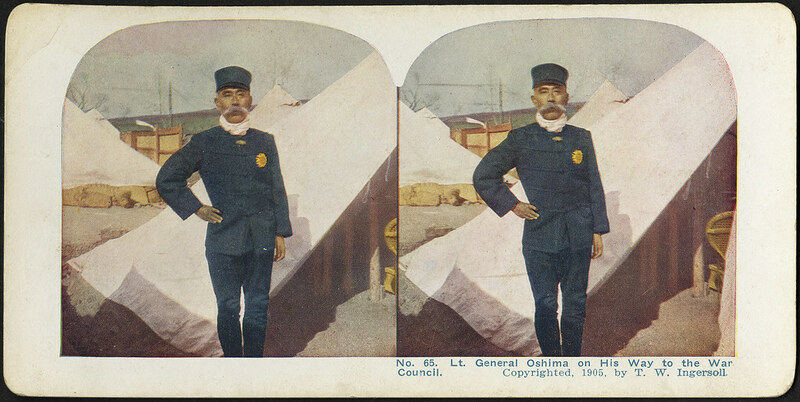 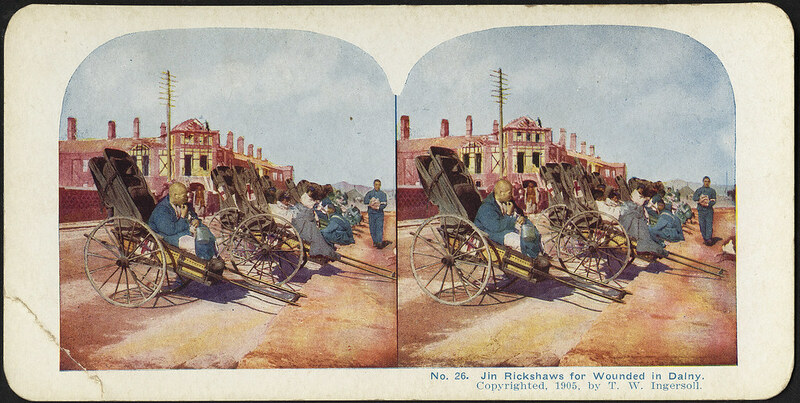 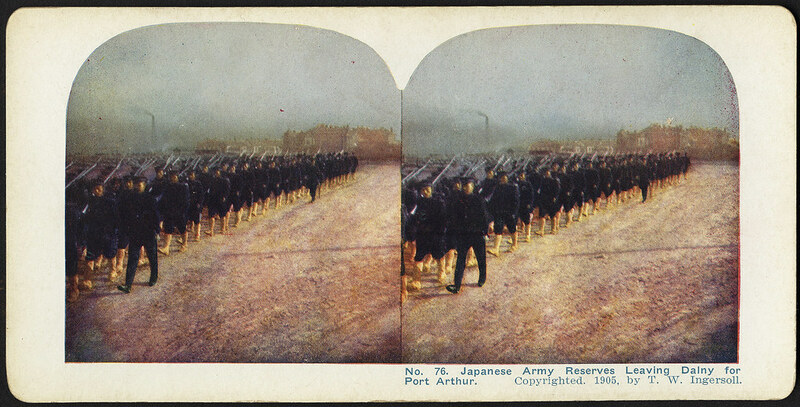 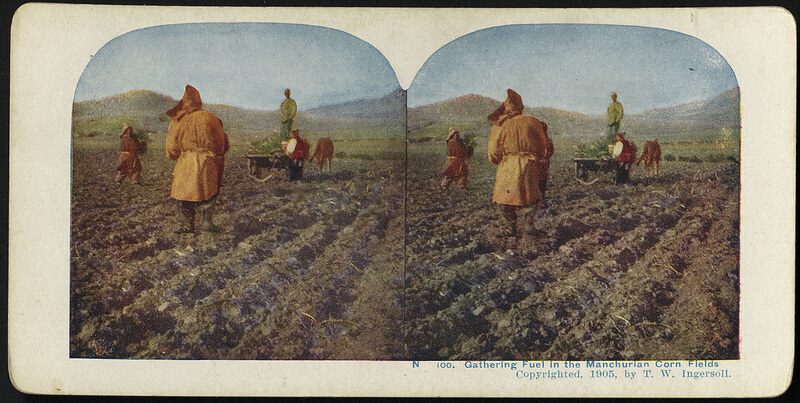 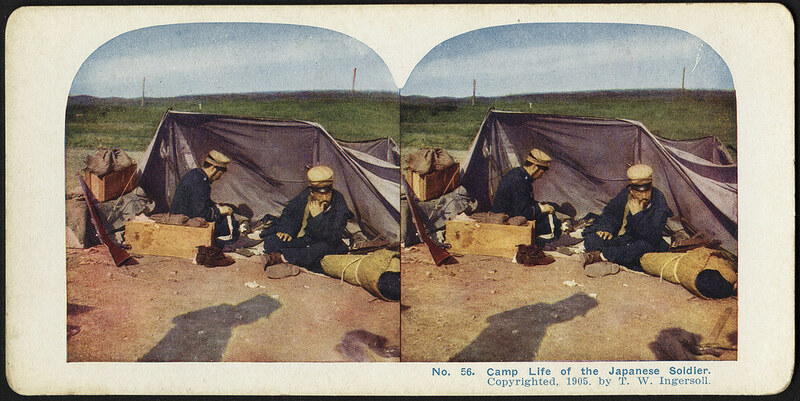 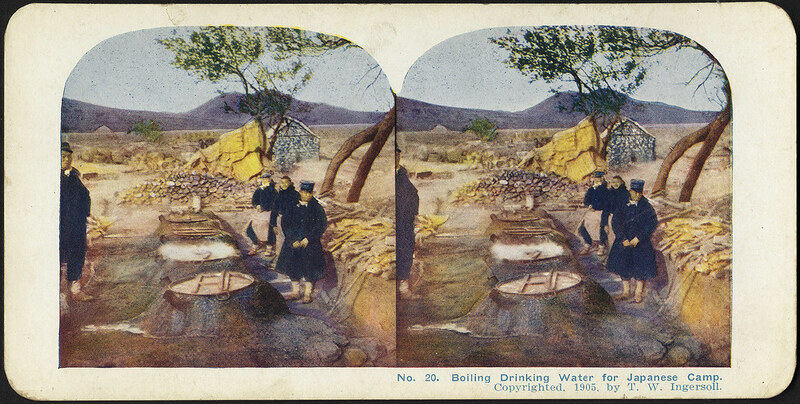 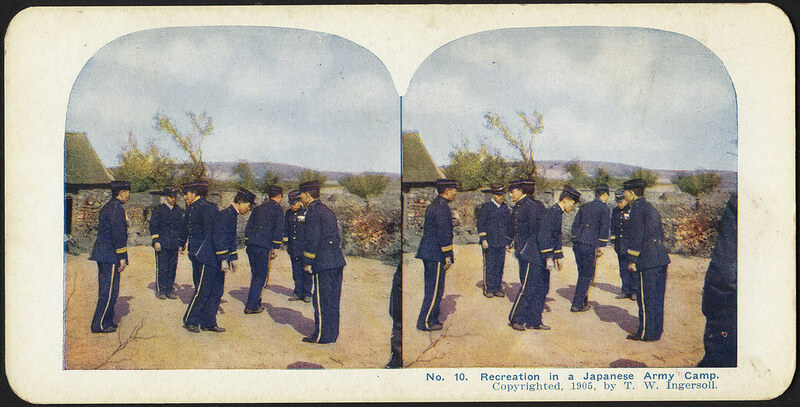 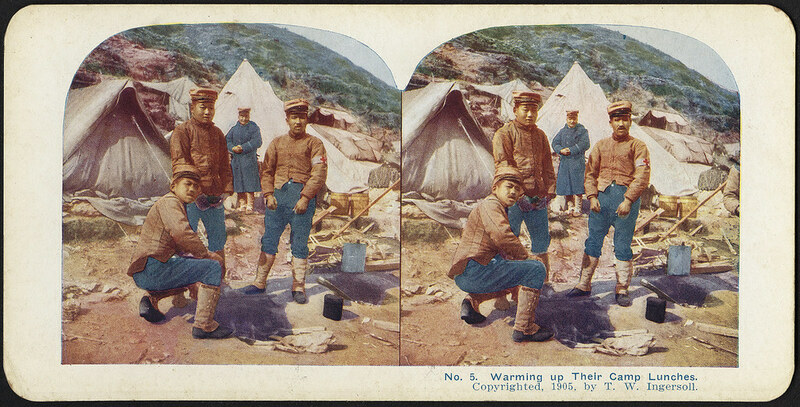 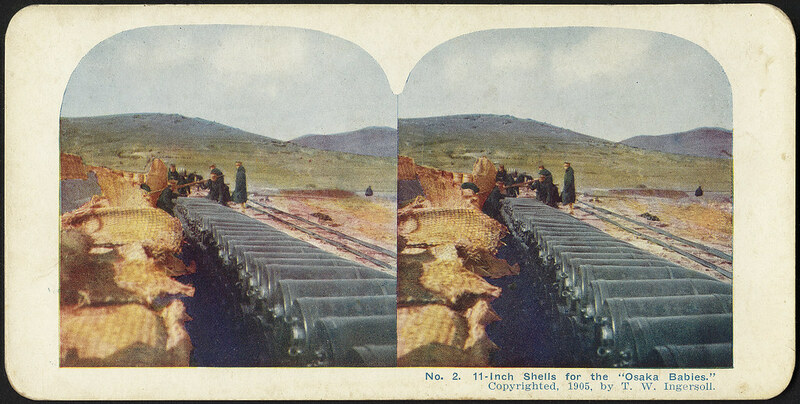 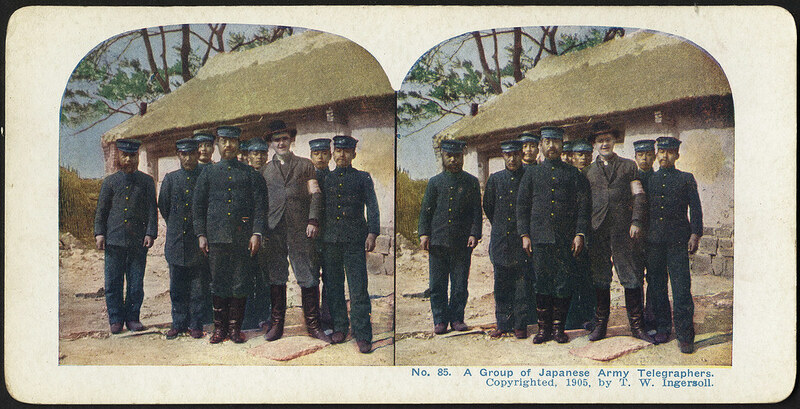 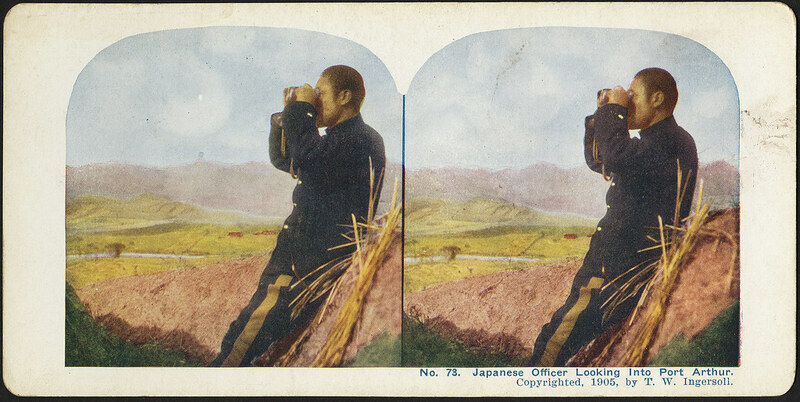 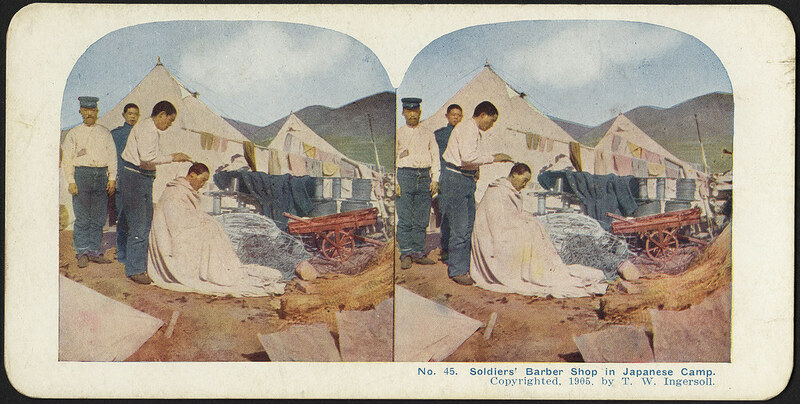 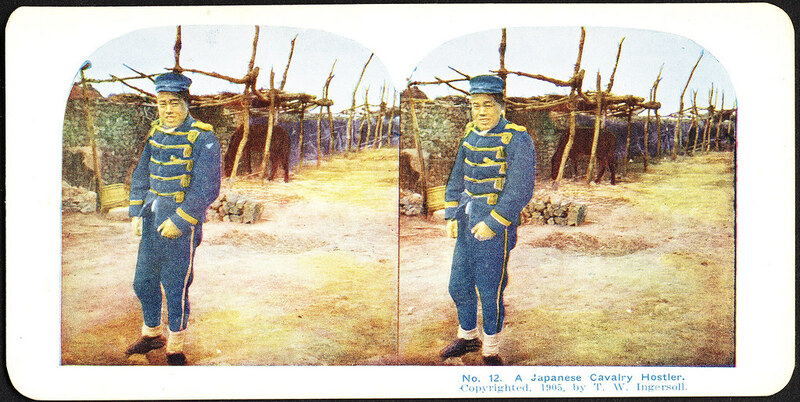 A selection of colorised stereographs depicting Japanese soldiers and camp life during the Russo-Japanese war of 1904-1905. 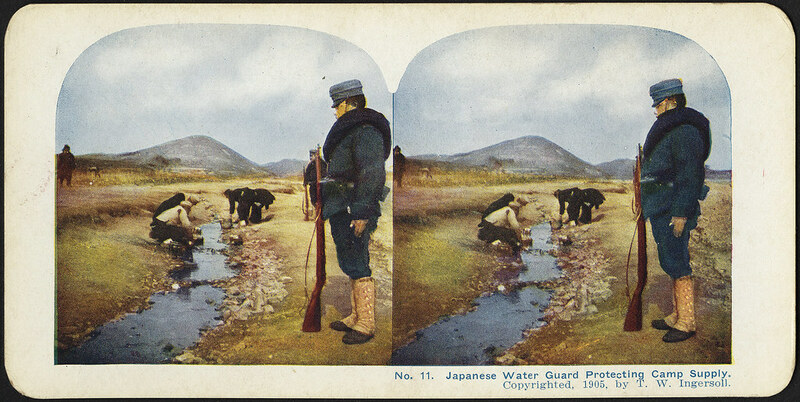 A result of a rivalry between the Russian Empire and the Empire of Japan over the control of areas in Manchuria and Korea, the war would introduce a number of features that came to define 20th-century politics and warfare. 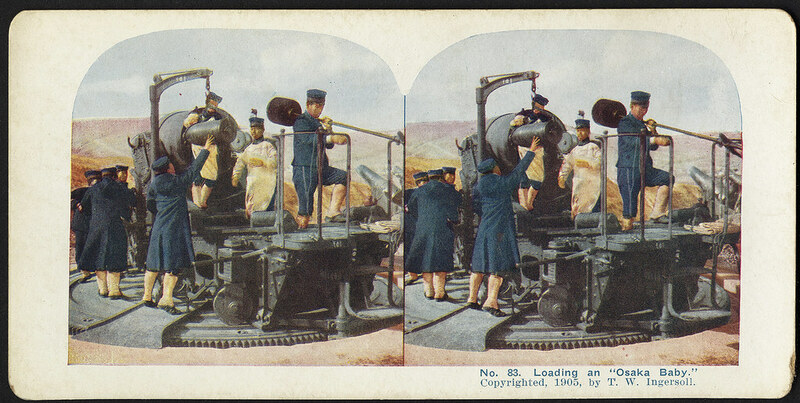 It was on its battlefields that many technological innovations of the Industrial Revolution first became used in warfare on a mass scale – including modern armaments, such as rapid firing artillery and machine guns – paving the way for the devastation of the WW1 in the following decade. 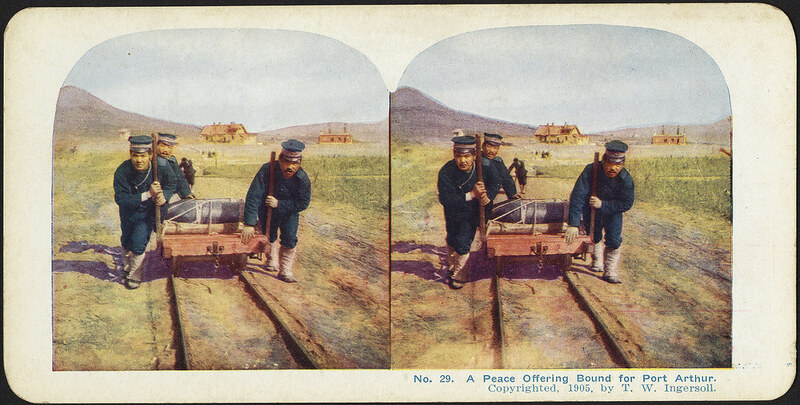 In the end, the Japanese victory took the West by surprise and Russia was forced to forfeit its expansion policy in the Far East, with Japan proving it was a force to be reckoned with. 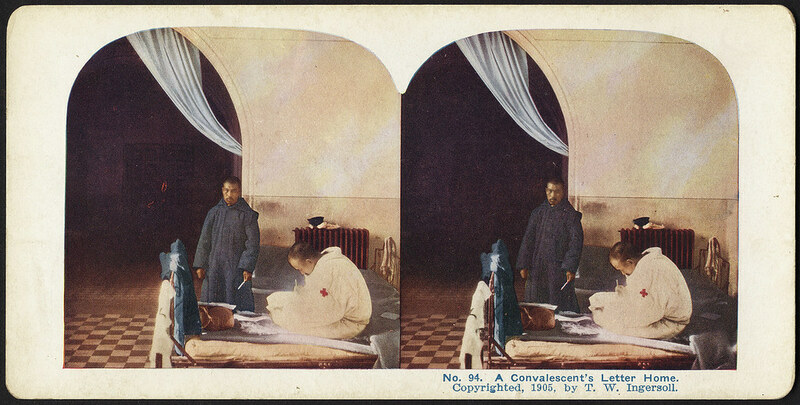 As for Russia, the many defeats suffered by the country led to discontent over the Romanov autocracy, and after World War I contributed to the February Revolution of 1917.